Formerly known as Bushy Park Wholesale, Big Watermelon supplies a wide range of fruit and vegetables direct to the public! We also cater to wholesale customers such as retailers, restaurants and any businesses in the food services industry which require fresh fruit and vegies, since we offer bulk discounts. Our customers have found that compared with a mixture of green groceries from major supermarkets, we average up to around 30% cheaper, even when taking advertised specials into consideration. In many cases, customers have found us to be way over 50% cheaper on many items! Our goal is to build a long-term business full of happy, loyal customers, so that’s why our focus is on making our quality fresh produce affordable to everyone. People come from all around the south eastern suburbs of Melbourne to Bushy Park Wholesale for their fresh fruit and veg. Come visit us at 1161 High Street Road, Wantirna South, Victoria. Look out for the BIG Watermelon! 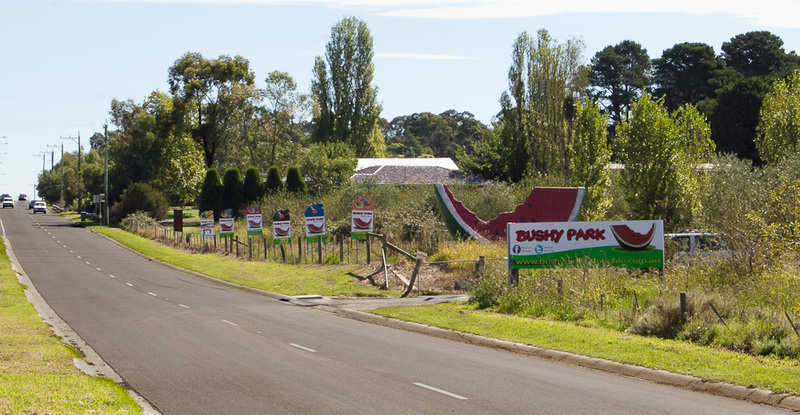 Formerly known as Bushy Park Wholesale, Big Watermelon is located in the Melbourne suburb of Wantirna South, and attracts customers from Knoxfield, Scoresby, Bayswater, Ferntree Gully, Vermont, Ringwood, Glen Waverley, Wheelers Hill and as far as Rowville, Mulgrave, Springvale, Burwood, Nunawading, Doncaster, Box Hill and Croydon (primarily Melbourne South Eastern and Melbourne Eastern suburbs). Look for the Big Watermelon on High Street Road.